Angry birds is quite an interesting game. The plot goes like this: In retaliation for the pigs who stole the birds 'eggs, birds use their own body as a weapon to attack as pigs' fortress. 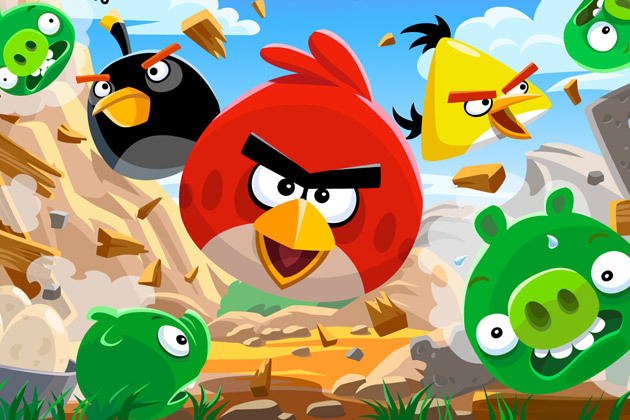 Looked at the red angry bird, they made desperate retreat to hit the green pigs' fortress,You can fell happy for this kind of scene.The game's soundtrack is full of the same feeling of joy with relaxed rhythm and cheerful style.Angry birds gets the ordinary version and special version. You may be confused what's the difference and which one is more attractive. Now let's tell the difference. The Angry Birds now is facing the survival problem. They have to give revenge on the greedy pigs who stole their eggs. With unique powers, each bird try to destroy the pigs’ defenses. This isa a challenging physics-based gameplay with hours of replay value. You have to think about how to requires logic, skill, and force to solve level by level .Anyway,be patient about this game. Angry Birds Rio set the plot based on the movie "Rio Adventure".The poor birds are kidnapped into a magic city. The angery birds have to escape from the hunters tracking all the way to rescue their companions Blu and Jewel. Along the way they will encounter many of the birds which were imprisoned in cages, they have to break the cage to let them flying away.In the soundtrack of the game, you can touch rich elements of Latin American music style. The birds encountered an alien bird and find that Alien birds rob eggs with the robot. You know they are gold meteorite eggs. Seeing alien bird standing on catapult chasing aliens, the angry birds who get rich grab eggs experience immediately go into space to get the eggs back.In the new game, these birds will be put on the new space and equipment.But the rule of the game changed, though still with a slingshot, but because the living space, gravity environment is different from Earth completely. The birds will change the past flight path and fly in a straight line in the zero gravity. Once run into the asteroid gravity circle, they will have to change orbits as for the gravitational influence. The new roles like Lazer Bird and Ice Bomb Bird will give players different taste. 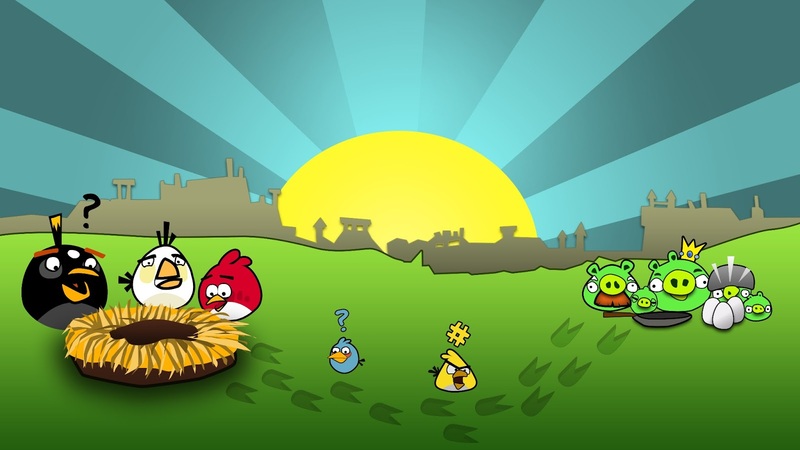 This time,Angry birds cooperated with Star Wars which was settled as the background. Angry birds get different roles like Luke Skywalker,Luke Skywalker, Princess Leia, Han Solo, Chewbacca, Darth Vader etc. Of course, the bad guy is the green pig. Use the Force, wield your lightsaber, and blast away Pigtroopers on an intergalactic journey from the deserts of Tatooine to the depths of the Pig Star—where you’ll face off against the terrifying Darth Vader, Dark Lord of the Pigs! Be brave on the way, become a Jedi Master and restore freedom to the galaxy! Angry birds get different editions according to different festivals. Now there are 8 different editions from October 2010 to December 1, 2012. They are Moon Festival, Summer Pignic, Ham'o'ween, Easter Eggs, Go Green，Get Lucky, Hogs And Kisses, Season’s Greedings, Trick Or Treat. For these different editions,you can experience different fight background. Like the Valentine's Day edition, all the background get romantic, the green tree turn into pink, the place where the pigs hide become a blu heart shape, even the green pigs are wearing lovely red bow. For other editions like Angry Birds Halloween, Cherry Blossom etc, you will find a lot amazing and surprising. Those are all the Angry Birds editions released so far. 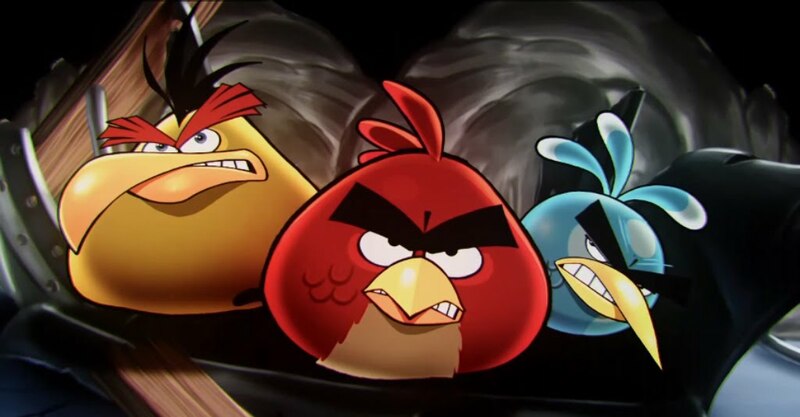 Now it seems that there is a new Angry Birds is coming. 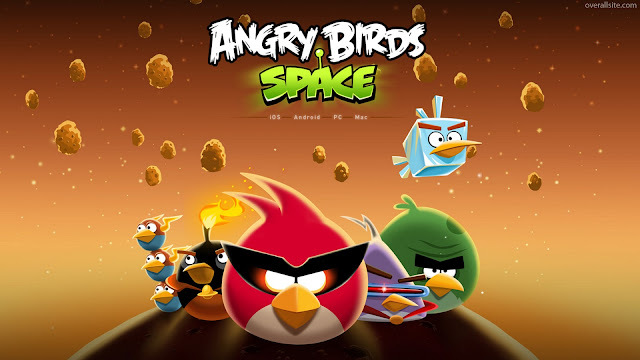 And it shows that it's the update version of Angry Birds Space which get a new world named "Pig Dippe". From the exposured images, the new thing is connected with water. Rovio doesn't give the exact information, Let's look forward to it.